Philips Vari-Lite's powerful VL3500 Washes have once more provided the backbone of Glastonbury's famous Pyramid Stage's versatile house-lighting rig. Designed by Andy 'Fraggle' Porter and supplied by Neg Earth the rig had to accommodate a plethora of very different artists along with three headline acts, each of which played a single night of the festival, and each to record audiences. "I knew I needed something powerful and reliable," comments Andy 'Fraggle' Porter. "I also wanted a fixture that I knew was familiar to all the incoming LDs and that would provide the feature set for each of the very different lighting designs they wanted to deliver. Obviously many of the supporting acts are playing in daylight, so we needed something that would cut through on a sunny day! Vari-Lite VL3500 Wash and VL3500 Spots are ideal for this as they are super bright, extremely reliable and robust in all kinds of atmospheric conditions." Not only that, with only a few hours of darkness for each designer of the headline acts to plot the night before their show, all lighting kit has to be super reliable. "LDs only get one hit at the stage in the hours of darkness before they play to 135,000 people! Not only that the show is broadcast on TV, nationally and internationally, so it is crucially important that they are working with fixtures that are familiar and that they know will deliver." 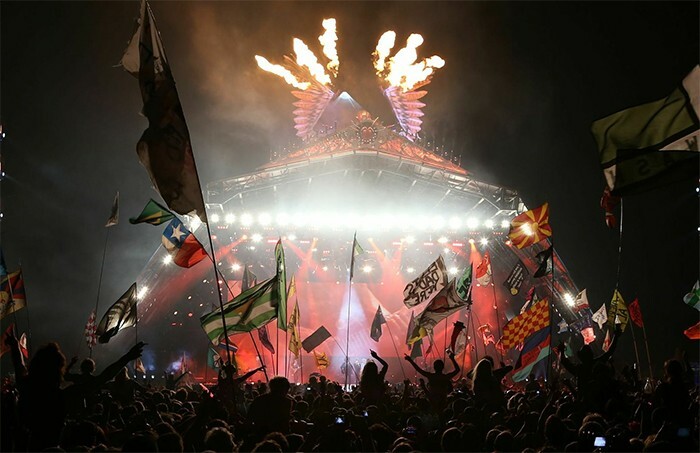 Headline acts on the Pyramid Stage this year included: The Rolling Stones lit by Patrick Woodroffe, Arctic Monkeys lit by Andy Watson and Mumford and Sons lit by Ed Warren. All acts made good use of the fixtures extensive features to convey dynamically different lighting designs on each of the three nights of the festival. 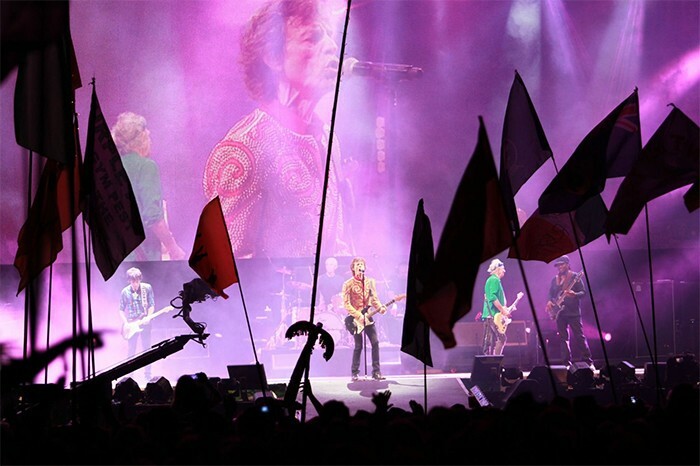 "It's fantastic to see that the backbone of Glastonbury's Pyramid Stage still comprises the ubiquitous VL3500 Washes and VL3500 Spots," says Martin Palmer, Vari-Lite and Showline product manager, EMEA, for Philips Entertainment. "With output in excess of 70,000 lumens, excellent beam and colour control and the Vari-Brite mode that delivers tight columns of remarkably intense light, it's no surprise that these luminaires are the workhorse fixture of choice for some many top LDs." The VL3500 Wash sets the standard by which all wash lights are measured. Featuring internal zoomable beam optics with either Fresnel or Buxom options, an interchangeable front lens system, and an aperture wheel. The fixture provides CYM colour mixing, variable CTO colour temperature correction, dual five-position colour wheels, a separate dimmer, and an independent dual blade strobe mechanism. Complementing this the Vari-lite VL3500 Spot luminaire features a 6:1 zoom optics and also offers CYM colour mixing, variable CTO colour temperature correction, a six-position colour wheel, two gobo/effects wheels, a shutter and separate dimmer and ultra-fast strobe mechanisms.